I have been thoroughly enjoying our “Bombshell Cooking” feature here on The Passionista Playbook Blog TV. So far we’ve shared the favorite recipes of larger than life divas such as Josephine Baker, Marilyn Monroe, Diana Ross, Michelle Obama and Pam Grier. It is with love and reverence that I pass on a favorite recipe of movie star Dame Elizabeth Taylor upon news of her passing. 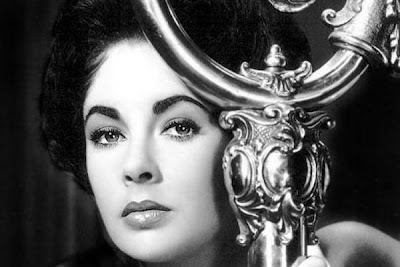 I didn’t realize that I’ve only seen one Elizabeth Taylor movie, “Who’s Afraid of Virginia Woolf .” I think I was so annoyed at her “Cleopatra ” that I never looked deeper into her legendary career. Sometime soon thanks to Netflix I plan to have a mini Elizabeth Taylor Film Festival in my living room. As you know from my Orange Vodka Barbecue Chicken recipe, I love cooking with alcohol. I found this Elizabeth Taylor recipe that already has the wine built in so I don’t even need to consult Gary Vaynerchuk this time. Elizabeth Taylor’s Chicken Steamed In Wine recipe comes from food.com posted by Lennie of the blog Eat, Write, Create. Thanks Lennie! This chicken wine recipe serves 6. 1. Flour chicken lightly and brown in a heavy skillet or dutch oven. 2. Combine all the other ingredients and pour over the chicken. 3. Cover and simmer for about an hour, or until tender. Legendary~ and perfect for your next Sinner’s Dinner. All love to Passionista Elizabeth Taylor. Check out: Marilyn Monroe’s Stuffing Recipe, Josephine Baker’s Spaghetti Recipe, Diana Ross’ Favorite Cookies, Mixed Green Salads, What Wine Goes With BBQ Chicken? and Barbecue Orange Vodka Chicken.